The right candle holder can either make or break your home design. But the thing is that they come in so many sizes and shapes nowadays, that you need to ensure you’re able to pick the one that really goes well with your furniture style. 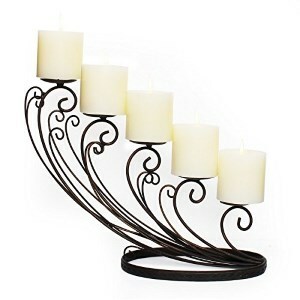 Getting a good candle holder that can tie any room together can be rather tricky. So, we’ve compiled a list of some of the critically acclaimed products out there so that you can choose the right choice for your needs. One of the coolest aspects of this particular choice is that it isn’t made of cheap materials or boasts useless ornate decorations that are especially loathed by minimalists. The metal that the structure was made from has a black matte finish, so it won’t even shine under direct light. What this means for you is that you will be able to enjoy the warmth of the candlelight without being bothered by anything else. For a great effect, we recommend placing this candelabra in front of a mirror so that the light dissipates and creates a nice atmosphere. 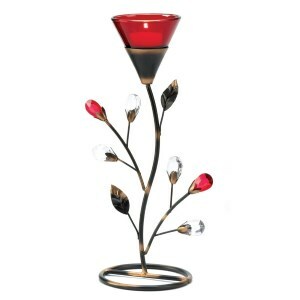 The red floral theme of this candle holder will allow you to place it in almost any room in your home. It’s not particularly ornate, nor is it too simple to ruin the decor of your living room, especially if you own massive wood furniture. The Ruby tealight candle holder can make an excellent choice for events like weddings or family get-togethers where you can’t place the candles right on the table for fear of people getting hurt. As the burning component is located at the top, you won’t have to worry about any potential danger. The product is made of glass, iron, and acrylic. Even though it doesn’t cost a fortune, especially when compared to other options that we have come across, this Adeco alternative is definitely a sight for sore eyes. No matter the interior design you have in your home, the HD0026 will make a great choice because it is a simple, yet chic and classically designed candle holder. It can keep up to five pillar candles although we do suggest lighting all of them at the same time so as to ensure that the wax is burned evenly. The holder might not look as great if the candles are somewhat uneven. If you are a great lover of classic movies, the Victorian or Edwardian period, as well as anything that remotely reminds you of a unique rustic elegance, you definitely need to check out this type of candle holder. It’s breathtaking and makes a perfect alternative for someone who already owns plenty of dark chestnut furniture. The set includes three holders whose sizes are different. Although it is made in China, there’s no debate as to whether or not this product is worthy of your consideration. If you like anything that’s classic, you have to give this one a shot. If you like a light a bit on the romantic side of things, then you should try out this product. 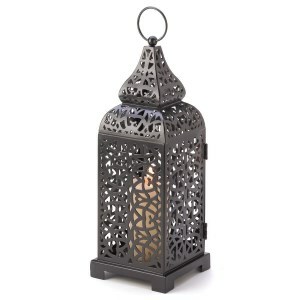 Having been crafted from quality iron and boasting a breathtaking metalwork, this temple tower candle holder can let you enjoy a mesmerizing display of both shadows and light. This product can be used both outdoors and indoors as per your momentary requirements. After all, it is made of a durable material, which is why it has a good chance of withstanding the test of time. You can even offer it as a gift to someone passionate about Moroccan designs and culture. 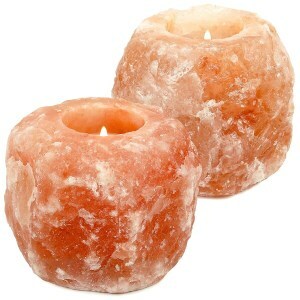 The benefits of Himalayan salt lamps and candle holders are countless. Even if you might not have shown an otherworldly interest in this type of product, perhaps you might have heard that it is beneficial for people suffering from all sorts of respiratory conditions. One of these is asthma, and those with mild forms are said to improve upon the use of such salts. Aside from the health-related viewpoint, there’s another reason to consider this product. It looks fantastic, and it creates a soft amber glow that can help you either relax or focus on your tasks in the evening. 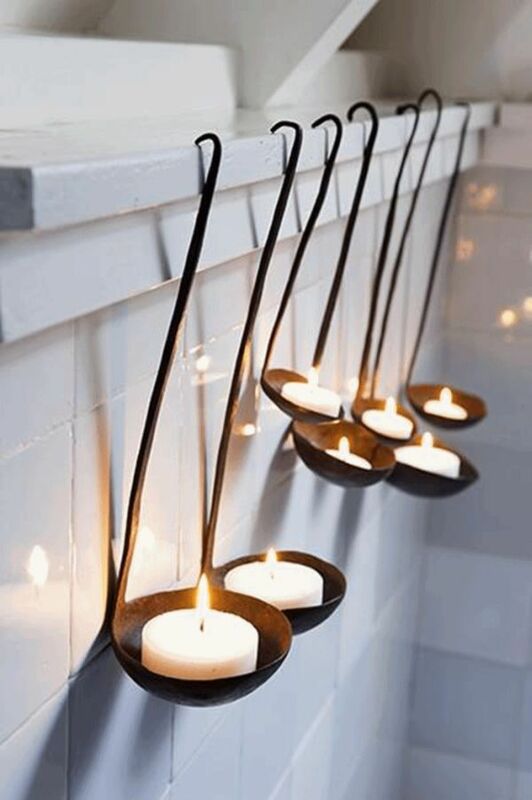 Place them right next to your tub and while you take a luxurious bath. If you’d ultimately go for something simple and budget-friendly, perhaps this Kate Aspen alternative is right up your alley. 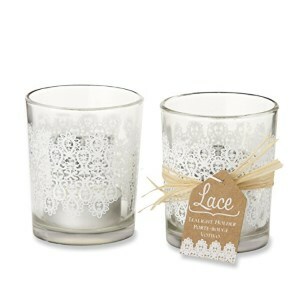 It consists of four beautifully designed glasses that you can use for tealights. Both the lace pattern and the raffia accent boasted by these items can take the looks of any room to a whole new level. Besides, this set is considerably more affordable than others, so you may want to consider it if you’re on a strict budget, but you still want to get something nice for someone you care about. If you’re a wedding planner, you should try them out. We don’t know about others, but when it comes to candle holders, we’re pretty much obsessed. They come in all shapes and sizes, in all colors and designs and there is never such thing as having too many candles, especially scented ones. But finding the coolest candle holders could prove quite difficult especially since there are so many good designs out on the market. And if you are truly obsessed like we are, we’re almost certain you end up buying at least one-two holders each month. Sometimes you even plan for elaborate shopping sprees only to “casually” throw in your shopping cart a few candle holders and matching candles. We get your obsession. We do. But, since we also know that shopping sprees could get exhausting and be very time consuming, we figured out our following comprehensive buying guide might be helpful for you. Not because you don’t need to buy any more candle holders, but because we think you could benefit from a shopping strategy to get you the items you desire. Thus, we enclosed a list with some tips you may want to take into consideration next time you are searching for a new candle holder for your living room, just to make sure you chose the perfect item. When it comes to candle holders, there is no limit regarding the amount, shape or styles you will find on the market. But since there are endless possibilities, you may find yourself wondering which one you should really get. Thus, we broke this shopping guide down into a few guidelines to help you make the best choice. We know you cannot picture your life or house without at least a dozen cute and romantic candle holders, but shopping for new ones tends to be more expensive by the date. Once you started with cute and small holders bought from the dollar store, you will start wanting more and seek for more lavish and expensive designs. Thus, we strongly recommend you to establish a budget before rushing into the candle store and cause a tornado. Although we cannot impute a certain price tag, we do recommend moderation and never exceed your established budget. If you are not entirely sure how the whole budget thing works, we can also suggest purchasing only one item per month. Let this be your guilty pleasure and this way you will be able to fulfill your lavish tastes. But, remember – only one item a month! We use to think of candle holders as small pieces of material in which you stick a candle, and that’s pretty much it. It goes without saying that times have changed, and tastes have evolved, leading to an everlasting world of infinite possibilities in terms of sizes. 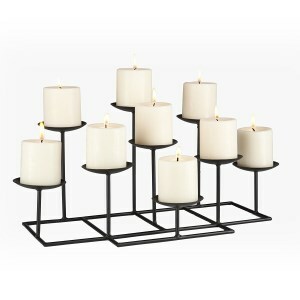 In order to pick the best candle holder, we suggest taking size into consideration. Obviously, the size of the holder must match the size of the candle but not entirely as the holder must be slightly larger than the candle to allow the wax to have a place to melt. After all, you are going to burn some of those scented candles, right? Since summer is just around the corner, we suggest you integrate the candle holder and the candle into a summer story, full of fun, flirt, and good mood. 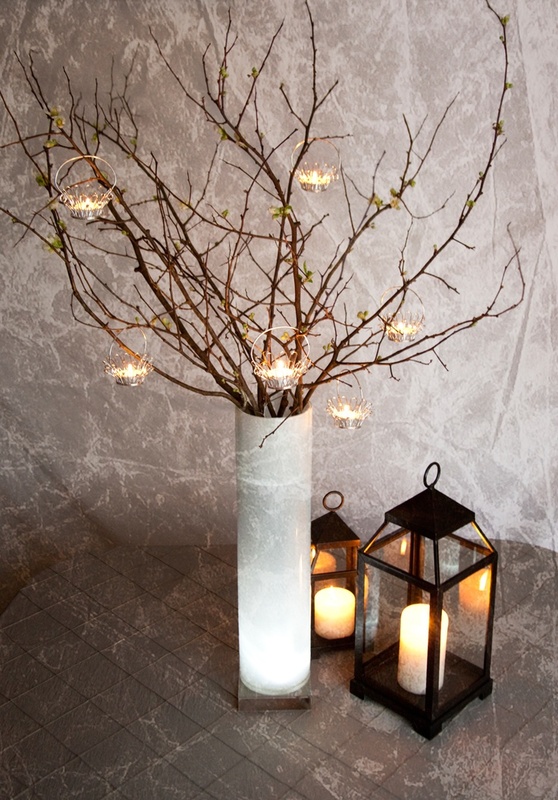 Some of our favorite styles of candle holders are the handlamps or the lighthouse type. We suggest you purchase these and decorate your terrace, balcony or backyard and create an entire nautical fairytale. Match these with sea-inspired accessories or even choose candle holders that resemble nautical motifs or sea creatures. However, there are numerous other styles you could choose. Remember that you don’t have to pay a massive amount of money on redecorating one room. All you need to do is change the accessories, and you will step up into a whole new dimension with only a few dollars. You can even plan to redecorate your child’s room with adding just the right amount of playful accessories, amongst which the perfect candle holders. The cartoon characters from the beloved Looney Tunes will certainly add a pop of playfulness to any room. And for little girls who were inspired by the fairytale “Beauty and the Beast,” there are various interpretations of the famous character Lumiere which will positively transform any room. You can easily choose a candle holder based on your personality, hobbies or pleasures. Since there are countless options on the market, why not choose one which “screams” you? If you are a passionate doctor, you can choose a candle holder in the shape of an anatomical spine, and if you’re a nature lover, you can choose one made from natural materials – resin, wood, twine or even recycled materials. We are sure that no matter your hobby or personality trait, you will find the right candle holder to match. Candles are an important accessory in any room as they have the possibility of making spaces feel more comfortable, warm and welcoming. 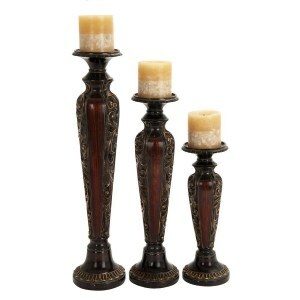 It is also the case of candle holders which must match the candles harmoniously. If you plan on throwing a party back at your place, you will most certainly have a theme. It can also be a formal dinner for new business partners or a simple Christmas dinner around your closest friends and family members. No matter the occasion, you must choose wisely the candle holders to match the decorations of the entire room, as well as the event. Obviously, Christmas, Easter, Halloween and New Year’s Eve are some of the most offering party themes as they typically provide an endless supply of accessories. If you want a scary Halloween party, you can choose candle holders in the shape of a mummy, skeleton hands or even dead animals. On the contrary, reindeer, glittery stars and gingerbread represent the perfect shapes for Christmas candle holders.